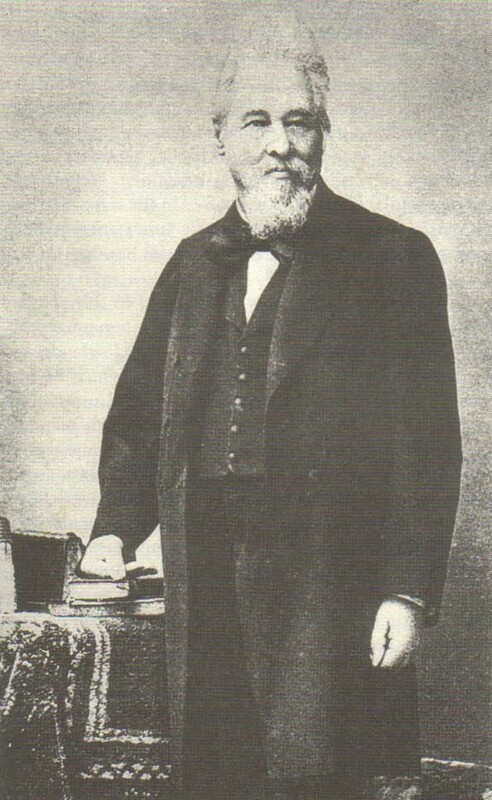 Norbert Rillieux--Invented the pan method of processing sugar which revolutionized the sugar industry. As the story goes, a closely guarded secret of the Rillieux family-a secret kept until now- was that Vincent Rillieux's other son, also called Vincent, had a liaison with a woman of color called Constance Vivant. Vivant belonged to the Cheval family, free blacks who had extensive holdings in land and rental properties. She had several children with Vincent Rillieux, Jr. One of their sons, Norbert Rillieux, became a leading chemical engineer of his time, whose inventions revolutionized the sugar industry throughout the world. Another son, Edmond, was a prominent builder and businessman who served for a time as superintendent of the city water works. As was Norbert Rillieux, at an early age. His father, Vincent, a wealthy engineer and inventor (and Edgar Degas's great-uncle), had designed a successful steam-operated press for making bales of cotton; it was installed in a cotton warehouse on Poydras Street. Norbert also showed an unusual aptitude for engineering. By 1830, at the age of twenty-four, the precocious Norbert was an instructor in applied mechanics at the Ecole Centrale in Paris, publishing a series of highly regarded papers on steam engines and steam power. Some time around 1831, Norbert Rillieux made an extraordinary discovery, one that transformed the sugar-refining process and contributed significantly to the sugar boom in Louisiana. Traditionally, sugar cane juice was reduced by a primitive and wasteful procedure called "Jamaica Train," which required the tedious and backbreaking toil of many slaves, who, armed with long ladles, skimmed the boiling juice from one open, steaming kettle to the next. Various attempts had been made, with vacuum pans and horizontal coils, to harness the energy of the hot vapors rising from the boiling juice. 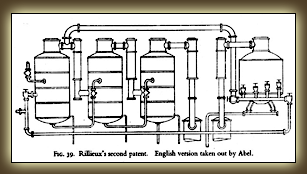 "It remained for Rillieux," as the sugar expert George P. Meade noted, "by a stroke of genius, to enclose the condensing coils in a vacuum chamber that lowered the boiling point of the liquid and to employ the vapor from this first condensing chamber for evaporating the juice in a second chamber under higher vacuum." Rillieux cost-cutting innovation, comparable in its impact on the sugar industry to Eli Whitney's cotton gin, was the basis for all modern industrial evaporation. The sugar produced by the vacuum chamber process was superior to that obtained from open kettles. Norbert Rillieux died when he was eighty-nine, and was buried in the cemetery of Pere La Chaise, with the inscription "Ici reposent Norbert Rellieux ingenieur civil ne a la Nouvelle Orleans 18 Mars 1806/decede a Paris le 8 Octobre 1894/Emily Cuckow, Veuve Rillieux 1827-1912." Of his widow nothing is known, except that Rillieux left her enough money to live comfortably in the province of La Manche during her final years. Norbert was a good student in New Orleans' Catholic school system, so Vincent Rillieux sent him to Paris in the 1820s to study at L'école Centrale. He excelled at physics, mechanics, engineering. Following his graduation, 24-year-old Norbert Rillieux became an instructor of applied mechanics at L'école Centrale. During his years in Paris, Rillieux became interested in latent heat (the boiling point of liquids) and, in 1830, published several papers on steam engines and steam economy. He also began to work on a practical application of his knowledge of thermodynamics to the refining of sugar. Introduced in the 1700s from the French colony of St. Domingue (Haiti) to Louisiana, sugar cane was a leading cash crop by the early 1800s. Vincent Rillieux, like many Louisiana planters, operated a sugar processing and refining operation on his plantation. He, like all other sugar producers of the era, processed sugar using a method called the "Jamaica Train." Slaves boiled sugar cane in open kettles and strained cane and juice apart. Using long ladles to skim sugar juice, slaves would transfer the boiling hot syrup from one kettle to the next kettle, reducing the liquid content of the mixture successively. In the last kettle, the water would vaporize entirely, and sugar crystals would form. It was extremely dangerous work for slaves who carried the scalding juice from one kettle to another. It was also very expensive because large amounts of fuel had to be burned to heat the successive kettles. Further, because of sugar's sensitivity to heat and changing air pressure, product quality was inconsistent. The Saccharine Evaporator, a steam-operated single-pan vacuum, was devised by British inventor Charles Edward Howard in 1812. The boiling point of sugar, the point when sugar cane or sugar beet juice turns into steam and sugar crystals, was lower in a vacuum, so Howard's "single-effect" process was much more energy efficient and cost effective than open kettles. The Howard system was improved by the Frenchman Degrand, who condensed vapors from the vacuum pan, evaporating juice more efficiently. This system was used in France and exported to Louisiana and Cuba in the 1830s. However, sugar processing required multiple steps, and the single pan system could not use latent heat from vapor (steam). In Paris, Norbert Rillieux experimented with moving sugar cane juice through a series of three closed evaporating pans. He discovered that, not only could juice be heated more efficiently in the vacuum, but by sending the vapor from one pan to another through condensing coils, also in the vacuum chamber, the vapor from the juice heated in the first pan contained nearly all the latent heat of the original steam. It could be used to heat the juice in the second pan, which had a lower boiling point because of operating in a vacuum, and repeated in a third pan (or fourth, or more). Pressure in the system was reduced by pumps that created the partial vacuum in which the pans operated. Finally, in 1843, with financial sponsorship by Judah Benjamin and Theodore Packwood and the use of the sugarhouse on Packwood's Myrtle Grove plantation, Rillieux was able to build and test his improved multiple-effect evaporator. The mechanism was manufactured in Philadelphia and installed in 1845. Unlike kettle-produced sugar that was dark and irregular, the evaporator produced, in the words of Judah Benjamin, "crystalline grain and snow whiteness ... equal to those of the best double-refined sugar of our northern refineries." Packwood and Benjamin won first and second prizes respectively in 1846 for the best quality sugar in Louisiana. In addition to producing a superior product and wasting less sugar during processing, the evaporator was energy efficient and dramatically reduced the fuel costs of sugar processors. By reusing heat energy, Rillieux drastically reduced the amount of fuel necessary to crystallize the sugar. Using dried sugar cane stalks as fuel instead of expensive wood, operators could pay for the cost of the evaporator with a single year's profits. Because the entire system was enclosed and valves could be operated by a single operator, Rillieux also eliminated the danger to workers from scalding liquid being transferred from one open kettle to another. The original Rillieux triple effect evaporator which was installed in a Louisiana sugar factory in 1843. The first effect normally took exhaust steam from the engines driving the cane mill. This exhaust could be supplemented when necessary with steam from the boilers. The crystallising vacuum pans were supplied with vapour off the first body. Unfortunately, the system introduced new dangers to workers, including boiler explosions and debilitating heat in the sugarhouses. The increased profitability of sugar also meant that more sugar was planted, and more slaves performed the arduous work of cutting cane in the sugar fields. The United States Patent Office issued patent 4,879 on December 10, 1846, to Norbert Rillieux for his "improvement in sugar-making." By 1849, 13 sugar factories in Louisiana had adopted the Rillieux system. From Louisiana, the Rillieux evaporator spread to Mexico, Cuba, and the sugar producing islands of the Caribbean. Although P. Horsin-Deon, a French sugar technologist, reported that Rillieux was "the most sought-after engineer in Louisiana" and had acquired a large fortune, Rillieux was constrained by Louisiana's racial codes. While he might go to a plantation to install an evaporator, he could not be entertained or lodged in the homes of his white patrons. As the United States drew closer to civil war, restrictions on African Americans in Louisiana tightened, regardless of whether they were free or slave. By 1855, Rillieux, like all "free persons of color," needed to carry a pass to move around New Orleans. New Orleans was devastated by yellow fever epidemics in the 1850s, so Rillieux devised a system to eliminate the disease. He asked the state legislature to fund his plan to drain the wetlands surrounding the city and to improve the city sewer system. However, Edmund Forstall, Vincent Rillieux's nemesis, had become a state legislator and opposed Rillieux's plan. Concerns about awarding so prominent a contract to a "free person of color" also disturbed the legislators, so the proposal was shelved. New Orleans continued to be wracked by yellow fever until Walter Reed established the relationship between the disease and mosquitoes, and white engineers submitted a plan--virtually the same as Rillieux's--that was finally adopted by the legislature. Around the outbreak of the Civil War, Rillieux decided to return to France "exhausted and asking for nothing but rest," according to Horsin-Deon. There, he discovered that some European engineers had copied his evaporators imperfectly. Their resulting poor performance had made his name synonymous with shoddy machinery even though they did not carry his name or have his approval. Facing both European reluctance to adopt new technology and an uphill battle to salvage his reputation, Rillieux abandoned engineering. After receiving a scholarship, he worked for a decade with the Champollions, brother and nephew of the decoder of the Rosetta Stone, translating Egyptian hieroglyphics at the Bibliothèque Nationale. However, Norbert Rillieux decided to give engineering one last try. Most European sugar was produced from sugar beets rather than sugar cane. In 1881, at the age of 75, he patented a new multistage evaporator system for sugar beets that halved the cost of processing them. When, ten years later, the French government refused to recognize the diffusion process that he perfected in a sugar cane factory in Egypt, and he abandoned engineering for a final time.